The ways in which organizations make use of information available to them to make decisions and manage activity is an essential topic of investigation for human factors. When the information is uncertain, incomplete or subject to change, then decision making and activity management can become challenging. Under such circumstances, it has become commonplace to use the concept of sensemaking as the lens through which to view organizational behavior. 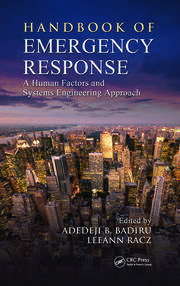 This book offers a unique perspective on sensemaking through its consideration of the variety of ways in which Incident Response is managed by the Police. 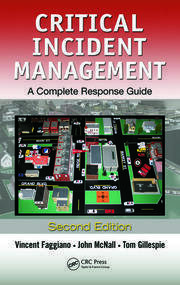 As an incident moves from the initial call handling to subsequent mobilization of response to first officer attending, a wide range of information is acquired, processed and shared, and the organization (and individuals who work within it) face challenges of making sense of the situation to which they are responding. Moving from routine incidents to large-scale emergencies, the authors explore how sensemaking is influenced and affected by the challenges of interoperability within and between organizations. 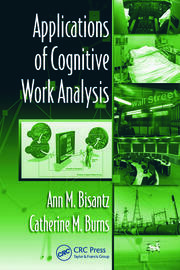 In addition, the book develops a view of sensemaking which draws on the theory of distributed cognition, focusing in particular on the question of how the technology that is available to Police personnel can support (and sometimes thwart) their ability to make sense of the unfolding situation. The main argument in this book is that sensemaking is distributed cognition, and that cognitive processes involved in sensemaking are mediated through interactions with artifacts and other agents. Three perspectives of sensemaking as distributed cognition are presented: making sense with artifacts, making sense through artifacts, and making sense through collaboration. Dr Richard McMaster worked completed his Masters degree in Applied Psychology at Sheffield University before joining University of Birmingham as a research associate funded by the MoD Defence Technology Centre for Human Factors Integration. Over a period of some 9 years, he worked on a variety of projects related to military Command and Control and to the management of Emergency Response. In addition to this work, he registered as a part-time PhD student, developing a thesis on the ways in which the Police dealt with incidents. This research was complimented by his role as a Community Police Officer, which gave him access to operational policing as part of his daily work. He now works at Babcock International, Plymouth, where he conducts Human Factors investigations and Safety Audits on nuclear submarines. Professor Chris Baber joined the University of Birmingham in 1990 as a lecture on the MSc Work Design and Ergonomics programme. Prior to this, he completed his PhD at the Applied Psychology Unit at Aston University (with a thesis on speech technology for control room operations which was subsequently published by Ellis Horwood). His research focuses on human-computer interaction (particularly in terms of sensor-based interactions and wearable computers) and on distributed sensemaking (particularly in uncertain or complex domains). He has published over 80 refereed journal papers, as well as around 400 conference papers. He is the author / co-author of 6 books (for Ashgate, CRC Press, Ellis Horwood, Springer). "This book is of most value to the individuals who seek to make sense of sensemaking as a social activity which transpires differently in varying contexts. 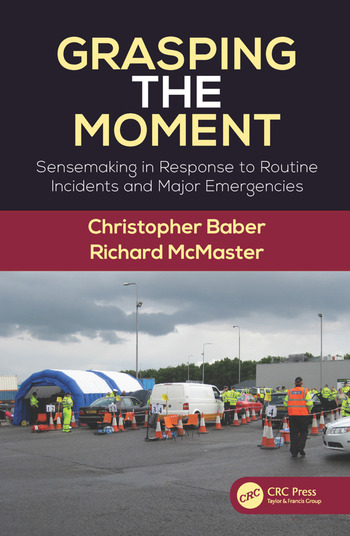 The authors take the reader on the journey from individual sensemaking to a multi-agency, multi-level sensemaking; from routine and simplistic situations to high-risk, high-volatility, and high-uncertainty events. In conclusion, the reader will learn about possible solutions to enhance the performance of diverse teams, even in most stressful situations. In conclusion, it is my opinion that the authors have successfully reached their goal of introducing distributed cognition as a valid and intriguing member of the family of sensemaking theories. The principles of the theory promise to initiate further research into the phases of sensemaking, especially in the context of our rapidly changing world."